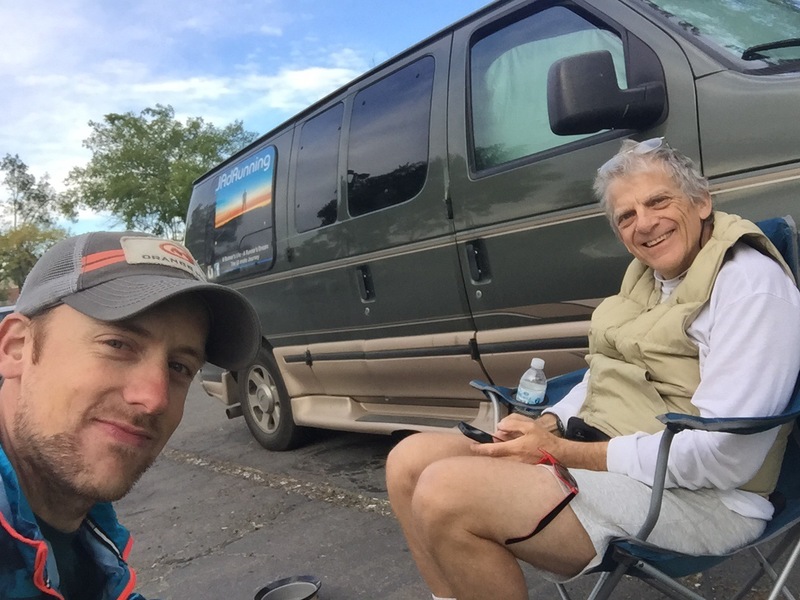 I have met some pretty cool people during my time in the van traveling and this man I am going to talk about definitely tops the list! 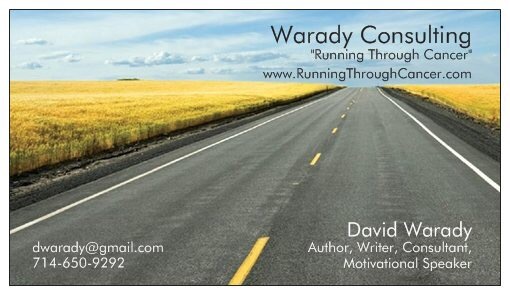 The next morning I woke up to a Facebook message on my JAdRunning page from a David Warady. Saying he noticed the sign on the side of the van after leaving his parents place just a few houses down the block. He wrote a little about himself and asked if I’d like to meet up. I looked him up to see if who he said he was was true (I’ve had some crazy random messages before…haha). Turns out dude was a beast of an ultra runner back in the day and a dang good poker player now. 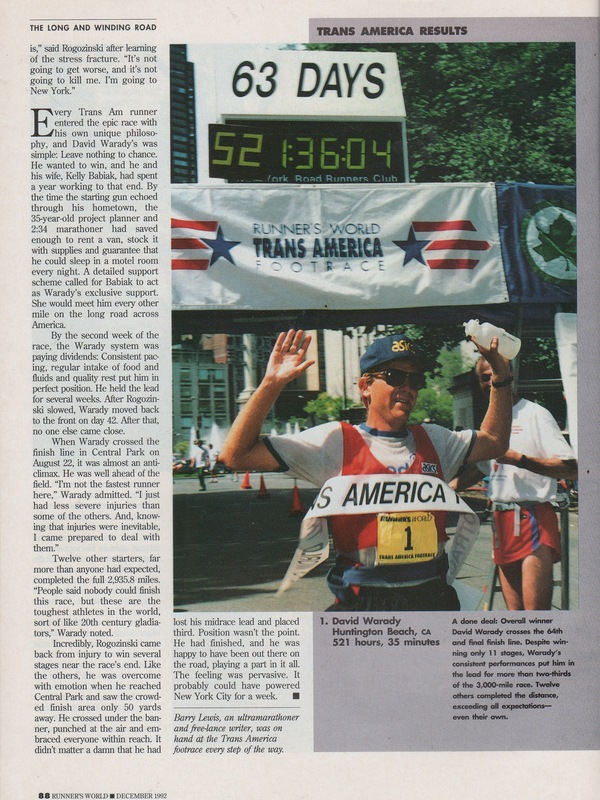 In 1992 David won the Runner’s World Trans America Footrace. This would be the first race of its kind in 64 years. This was a story I definitely wanted to hear! So, I replied to see if he was available to meet the morning I left my cousins house to head north. Normally when I have visitors my living room is a bit more scenic. With a forest as a backdrop or a campfire burning. Today it was city dirtbag time so I busted out the camping chairs and set up to listen to his story of how he won the race across the country! Half way through I thought about how I wished I had a camera setup recording his recite and even capture how dirtbaggy our setup was in the parking lot. Just as he finished of how he crossed the finish line with another runner nipping on his heels 5 hours behind. We had shopping plaza security at the van kicking us out of the parking lot for loitering. Told the security guard it was all good because the interview was over anyways. As I packed up the chairs I said, “You should be getting a selfie with this man, he’s a legend!” I think the guard considered it when David pulled out his business card and handed it to him. Listening to how he trained, what he sacrificed, and how he overcame injuries showed his true dedication. One of my favorite things he said was that after he graduated from college he said he was going to give everything he had to become the best runner “he could be”, which would make him a better person all around. At this point in my life I am a firm believer that everything happens for a reason. Just think, if not for the snow in Tahoe I would not have been in Sacramento at the right time for David to see my van. Check out David’s website at http://www.runningthroughcancer.com to learn more about him then I talked about here in my post. Here is a link to a youtube clip about the race finish, http://youtu.be/u6DWnJyp_nU. Big thanks to David for spending the day hanging out with me!